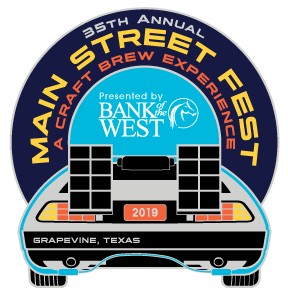 The 35th Annual Main Street Fest - A Craft Brew Experience, presented by Bank of the West, opens Friday, May 17 at 10 a.m. Festival hours are Friday, May 17, 10 a.m. - 11:30 p.m., Saturday, May 19, 10 a.m. - 11:30 p.m., and Sunday, May 20, 11 a.m. - 6 p.m. Adult tickets are $7 and tickets for children 6 - 12 and seniors (62+) are $5. Weekend passes are $15. Souvenir weekend passes are $20. Admission is free until 5 p.m. on Friday, May 17. Complimentary shuttles run continuously from designated parking lots. Celebrate American Craft Beer Week by attending pre-festival brew events throughout the DFW Metroplex. At Main Street Fest, there will be a separate ticketed event, the Craft Brew Tasting Experience, located in the Craft Brew Garden, offering more than 80 craft brews to taste. Main Street Fest features a host of family-friendly activities: kids’ stage shows, museum exhibits and live entertainment. KidZone—the place to be for the young ones in your group—features a LEGOLAND® Discovery Center Junior Builder Competition and the SEA LIFE Grapevine Aquarium touch pool. There’s also Midway games and thrilling Carnival rides, as well as talented artisan and specialty vendors to browse in the Grapevine Marketplace. 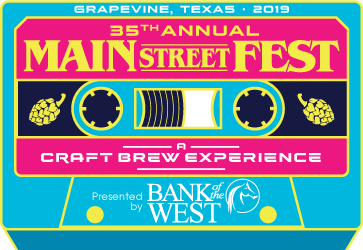 And don't forget, the more than 80 locally-owned shops, galleries, restaurants, jewelry stores, boutiques, winery tasting rooms and more lining Grapevine's Historic Main Street will be open during the festival. For additional information, please visit GrapevineTexasUSA.com, email [email protected] or call the Visitor Information Center at 817.410.3185.